Welcome to Twin Apart Hotel! Twin Apart Hotel was opened in 2015 in the center of Kiev in Pechersky district. It is a 5 min walk to "Druzhby Narodiv" subway station and 10 mins drive to Olympic Stadium and a big shopping mall «Ocean Plaza». 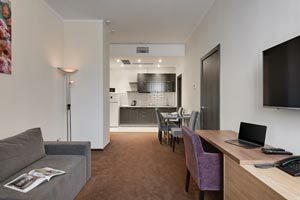 «Twin Apart Hotel» offers 18 comfortable rooms and apartments with a modern design. Here you will find a special atmosphere of European comfort and traditional Ukrainian hospitality. We can propose you a good deal even if you wish to stay just for one night. We guarantee you to provide a high level of service and our staff is always ready to help our guests. If you book directly by e-mail or by phone, we will give you 10% discount! The new service from apart hotel Twin Apart! 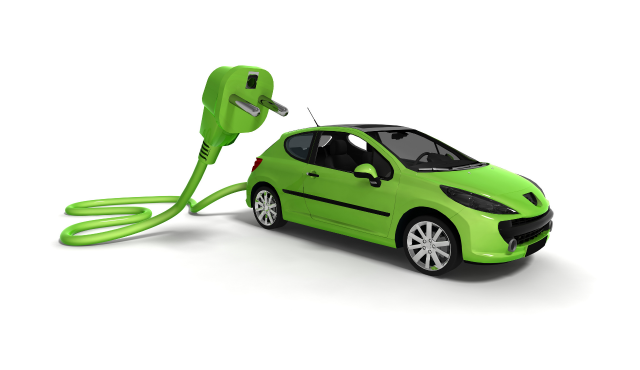 We are looking forward to please our guests with the new service "Electro car fueling"
Now our guests on electric cars will be able not only relax in the hotel, but also charge their electric car with high-speed charging in 30 minutes. We take care of our guests developing our facilities!